Property Management Companies in Philadelphia abound. Some are terrible, some are okay, and very few are good. So, how do you as the client and end user investigate and compare Property Management Companies in Philadelphia? What specific characteristics should you be looking for? 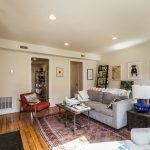 What are the tell tale signs of GOOD Property Management Companies in Philadelphia? These are questions which we will answer in the following sections, so keep reading! Before we start talking about what services you should be looking for, and what sets good Property Management Companies in Philadelphia apartment from bad Property Management Companies in Philadelphia, lets chat about the value of property management to begin with. So, why does a the owner of a property choose to hire a property manager to oversee his or her property? The answer is simple, that investor wants to reduce (or more likely completely eliminate) his headaches while becoming MORE profitable in the long run. It’s with this simple premise in mind that we can dive into defining the services which Property Management Companies in Philadelphia offer, and ultimately analyzing which Property Management Companies in Philadelphia are going to be the best fit for your situation. Collection of rents – This is one of the most basic offerings. Tenants have rent to pay, the property manager collects it on your behalf. This means that you don’t need to make rent collection visits, keep track of when rent is due, and assess late penalties. Market vacancies – A major function of Property Management Companies in Philadelphia is filling vacant spaces with tenants. That of course is a very broad statement, and there are tons of different ways to market space (some more effective than others). 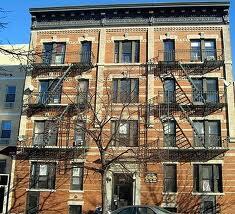 Additionally, there are many different types of tenants. Property Management Companies in Philadelphia are tasked with minimizing time between tenants, while maximizing the grade of tenant they locate. Keep accurate financials – So, we’ve already discussed rent collection. This leads us into book keeping and financials. Property Management Companies in Philadelphia are collecting rents, assessing their management fee, and paying for the repair of maintenance issues on behalf of the owners which they represent. There’s a lot of money flowing in and out here, and it’s crucial that these funds being properly accounted for. 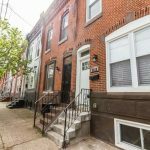 To this end Property Management Companies in Philadelphia use a variety of financial reports including trust balance reports, cash flow statements, owner statements, and tenant ledgers to keep it all straight. Maintenance – Property Management Companies in Philadelphia must have qualified, licensed, and insured sub contractors to call on should something go wrong in a property. Additionally, they must have their own in house maintenance department for rectifying issues which do not require a licensed trade. Why? The only way to keep cost down is to handle 95% of issues in house. A good property manager won’t mark their maintenance services up. Fitting your lifestyle – Are you a tech savvy individual? Do you pay your bills online, periodically check your bank accounts through online banking, and google is your first stop when you have a burning question? If so, you want to look Property Management Companies in Philadelphia which offer web based platforms. You would probably prefer to be paid via ACH rather than waiting for a paperwork check, and you probably want your tenants to have the ability to submit a maintenance request online. Right off the bat you can eliminate 6 out of 10 Property Management Companies in Philadelphia, since they just don’t think the same way you do! How do their current clients and tenants feel about them? Piggybacking on the above recommendation, you should take a look at client and tenant reviews on popular review sites. Sure, they are subject to some level of manipulation, but for the most part they are an accurate representation of what your level of satisfaction will be. Property Management Companies in Philadelphia grow based on referrals from their existing client base. Property Management Companies in Philadelphia have a wide range of fee structures. Some Property Management Companies in Philadelphia base their earnings around management and leasing fees, and are very transparent in their operation. Other Property Management Companies in Philadelphia are tricky in the way that they operate and in fact make the vast majority of their earnings marking up maintenance expenses! This is why we highly recommend that you hire a company which does not mark up maintenance issues at all. Their monthly management fees might be higher, but in the long run you will come out ahead. You have options when it comes to selecting Property Management Companies in Philadelphia, however we strongly recommend that you use JG Real Estate. If you follow the above suggestion in your search for Property Management Companies in Philadelphia, you will quickly land on JG Real Estate’s homepage. Unlike many other Property Management Companies in Philadelphia, repairs are billed at cost – we’ll never make a dime when issues arise at your property. Contact us today.